Kevin Spacey's mangled gangster brogue from Ordinary Decent Criminal may go down as one of the worst Irish accents in celluloid history - but the film saw the now disgraced star form ties in Dublin which led to him returning here at every opportunity over a near 20-year period. The actor was initially enamoured of Irish people's general reluctance to openly accost major celebrities and described himself as "worshipping the atmosphere, the history, and of course drinking in the company of the world's finest drinkers". It was the filming of Ordinary Decent Criminal, the ill-thought-out take on the Martin Cahill story, which saw Spacey's first extended stint here in 2000. He lived in Dublin 4, near Lansdowne Road, and frequently drank at Slattery's pub in Beggars Bush. The American Beauty star also encouraged young actors to consider making the move to Hollywood. One of the actors he encouraged was Colin Farrell. Spacey first spotted Farrell in a play at London's Donmar Warehouse Theatre and invited him to appear in one of his films. It would mark the beginning of an incredible rise for Farrell. 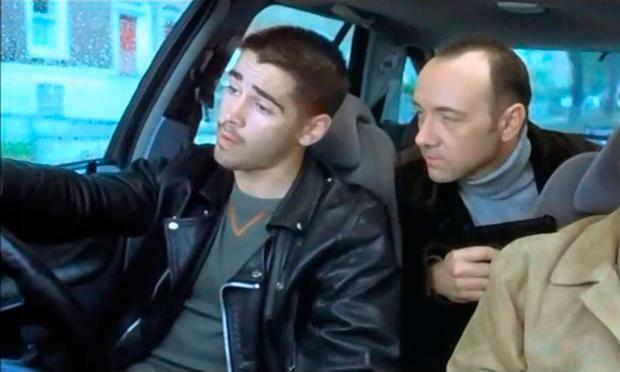 Spacey was so impressed by Farrell that he convinced Ordinary Decent Criminal director Thaddeus O'Sullivan to cast the then inexperienced actor in the production - and Farrell has never looked back. Spacey did not only have professional proteges, however. Romantically and sexually, he was also, in the words of Michael Stipe, dipping into the population. Stories did the rounds of Spacey making overtures to young men on Dublin's social scene and he hosted parties that were known for their Bacchic excess. Spacey was long reputed to be bisexual - and the rumours of this intensified after he was attacked while ostensibly walking his dog in a public park in the middle of the night in 2004 and subsequently appeared on the cover of Esquire magazine with the knowing headline: 'Kevin Spacey has a secret'. However while he stayed in Ireland, it was not only men who were the subject of Spacey's attentions. The comedienne Aisling Bea wrote on Twitter last week: "I don't know many actors from my era of drama school graduates who don't have a Kevin Spacey story. The surprise is the lack of surprise." Bea later confirmed that she was talking specifically about a situation with Spacey, rather than about an incident similar to the one he confessed to last week involving actor Anthony Rapp in 1986 - Spacey admitted to carrying the then 14-year-old actor on to a bed and initiating sexual contact with him. On social media and elsewhere those Kevin Spacey stories began to trickle to a torrent last week. Dublin-born actor David Gilna told the Irish Sun that Spacey propositioned him with the prospect of a "private performance" in his dressing room during runs of plays that both men were performing in London in 2011. Despite the rumours that always swirled around him, Spacey always retained the veneer of great respectability that came with his great stardom. He still has many friends and contacts in Ireland and had been slated to appear at a history festival in Cork this year. He was said to have been disappointed in the last few years when a new project, which would have seen him star as businessman Sean Quinn, failed to come to fruition. "I love Ireland," he said. "So any chance I get to work there again I'll grab it with both hands." Work is already drying up for Spacey, who was yesterday dropped by the streaming website Netflix after a slew of allegations about sexual abuse and harassment. The company announced it would not release Spacey's film about Gore Vidal, the American writer, which was close to completion. It also said he will no longer be involved in House of Cards, the show in which he had the lead role as well as being an executive producer. The statement left open the possibility that the drama could continue by focusing on another character. It followed reports that eight current or former employees working on House of Cards had accused Spacey of creating a "toxic" environment on set.